This Blue Nile Signature Ideal cut diamond ring expresses the harmony of union with an intertwined two-stone diamond design. 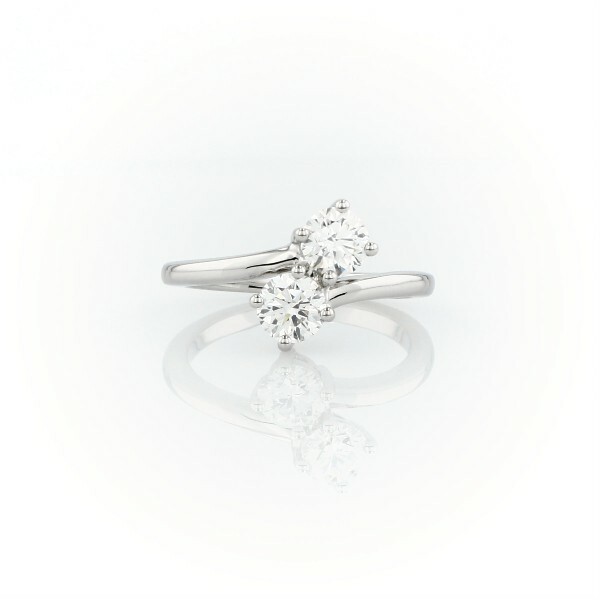 The perfect alternative to the classic engagement ring. Diamond ring accompanied by a GCAL report.